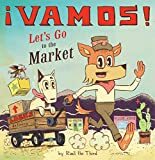 He will be joined by Versify authors LAMAR GILES, RAÚL THE THIRD, and KIP WILSON, who will be presenting their respective new children's books The Last Last-Day-of-Summer, ¡Vamos! Let's Go to the Market, and White Rose. The event will be a special 45-minute program focused on spreading the word about how books can empower young people to imagine and create a better world. It will be followed by audience Q&A and a signing with all four authors. Versify presents books to electrify, edify, and exemplify! Versify is a new imprint curated by Kwame Alexander that is full of innovative creators with fresh and varied voices. This Houghton Mifflin Harcourt imprint reflects Alexander’s vision that accessible and powerful prose and poetry—in picture books, novels, and nonfiction—can celebrate the lives and reflect the possibilities of all children. Seeking new authors and artists as well as established writers and illustrators, Versify publishes books that explore the beauty, hurdles, and hopefulness of life . . . books that will engage, entertain, and empower young people to imagine and create a better world. Kwame Alexander is the New York Times bestselling author of 28 books, including Swing, Solo, and Rebound, the critically acclaimed follow-up to the 2015 Newbery Medal-winning middle-grade The Crossover. Some of his other works include Booked, a National Book Award Nominee, The Playbook: 52 Rules to Help You Aim, Shoot, and Score in This Game of Life, and the picture books, Out of Wonder, Surf's Up, and The Undefeated. The recipient of the 2017 Inaugural Pat Conroy Legacy Award, Kwame lives with his family in Virginia. Lamar Giles is an Edgar Award–nominated author and has published three young adult novels. He is the co-founder of #WeNeedDiverse books and has edited two #WNDB anthologies, including 2018's Fresh Ink. Raúl the Third is the Pura Belpré Award–winning illustrator of the Lowriders in Space series by Cathy Camper. He is currently working on a YA graphic novel with David Bowles. He grew up between El Paso, TX and Ciudad Juárez, México and now lives in Boston, MA with colorist Elaine Bay. Tickets are available online only at harvard.com and harvardbookstore.eventbrite.com. All tickets for this event include a $5 coupon for use in the bookstore. Pre-sale tickets include a copy of The Undefeated. Books bundled with pre-sale tickets may only be picked up at the venue the night of the event, and cannot be picked up in-store beforehand.